Water is always important…especially when you are trying to achieve a nice smoke ring for your turkey. Humidity plays a key role in this process as well. You can always achieve the temperatures you are trying to smoke at even with water in the water pan. Overfilling or using too much liquid will lead to a steaming effect, so aim for 2-3 liters of water, beer, apple juice, or wine. 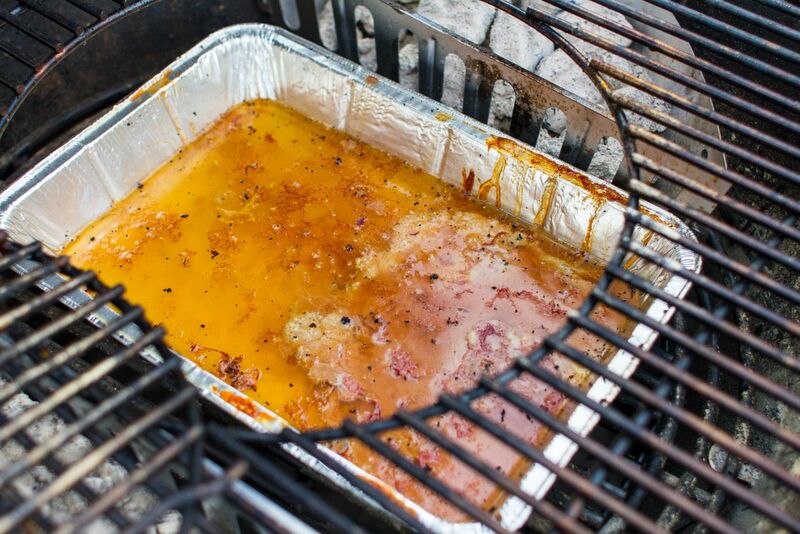 If you are using a gas or charcoal grill, add 1 liter of water, beer, apple juice or wine to the drip pan. You need a little bit of water in the pan otherwise the drippings will become crispy and thus unusable. Use a roast holder to keep the turkey out of the water. You can put the roast holder in the drip pan or put the drip pan below the cooking grate. If you are using a smoker you will want to put the 2-3 liters of water, beer, apple juice or wine in the water pan. You can then put a drip pan on bottom cooking grate with a dash of water in it to collect the drippings. You won’t need a full liter of water in the drip pan because you already have enough water in the smoker. Be sure to share your #BestTurkeyEver photos with us! ​Looking for more turkey inspiration? Check out more tips here.